The FORU Oceania Cup, where "FORU" stands for "Federation of Oceania Rugby Unions", is an international rugby union competition between nine countries and territories of Oceania: American Samoa, the Cook Islands, Niue, Tahiti, New Caledonia, Papua New Guinea, Solomon Islands, Vanuatu and Wallis and Futuna. Teams compete in varying formats, depending on the strength and number of teams involved. 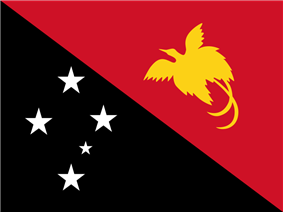 The 2009 champions were Papua New Guinea, who defeated the Cook Islands 29-21 in the final. Cook Islands defeated Papua New Guinea 37-31 on the final day of the 2013 tournament, winning the tournament from the defending champions, Solomon Islands and Tahiti. This Oceania-related article is a stub. You can help World Heritage Encyclopedia by expanding it.